Conflict or co-existence? Foraging distribution and competition for prey between Adélie and chinstrap penguins. Adélie (Pygoscelis adeliae) and chinstrap penguins (P. antarctica) are morphologically and ecologically very similar, have very similar diet and breed sympatrically in the Scotia Arc from the South Sandwich Islands to the Antarctic Peninsula. To investigate how these two species co-exist, their foraging distribution and diet were studied during the chick-rearing period at Signy Island, South Orkney Islands, during the breeding seasons of 2000 and 2001. Satellite tracking data from of 19 Adélie penguins and 24 chinstrap penguins were used to compare foraging distributions. In both years the diet of both species was exclusively Antarctic krill (Euphausia superba) of the same size range. In a year of low prey availability (2000), there was a statistically significant segregation of foraging areas between the two species, however, in a year of normal resource availability (2001) there was no such segregation. There was a significant difference in the foraging areas used by Adélie penguins between years but not for chinstrap penguins. Adélie penguins foraged significantly farther (mean 100 km) from the colony than chinstrap penguins (mean 58 km) in 2000 but not in 2001 (mean 58 km and 35 km respectively). In 2000, the breeding success of Adélie penguins was 51% lower than the long-term mean compared to 15% lower in chinstrap penguins. Both species achieved above average breeding success in 2001. 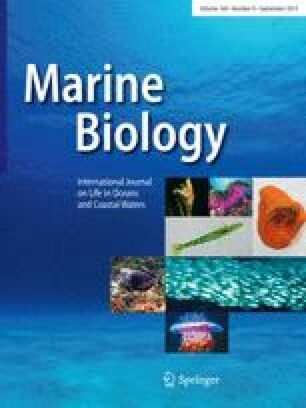 The changes in foraging distribution and breeding success suggest that in years of low resource availability, chinstrap penguins may be able to competitively exclude Adélie penguins from potential inshore foraging areas. Current trends in climatic change and possible effects on ice distribution and krill abundance suggest that conditions could become less favourable for Adélie penguins than chinstrap penguins in areas where both species occur.